The Institute for Racial Equity & Excellence (IREE) is responsible for providing licensing services in Arapahoe, El Paso, and Pueblo counties. 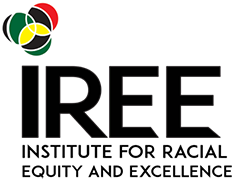 IREE uses the “Community Based Licensing” model created by President and CEO Dr. Rosemarie Allen. Community Based Licensing© focuses on providing licensing services that are culturally responsive using four Cs: Competence, Caring, and Compassion while ensuring Compliance. The ability to make an appointment with licensing specialists and the licensing director to discuss concerns, ask questions, etc. Assistance with Early Childhood Teacher letters.